Allimax Allicin | Allicin The Most Effective GARLIC EXTRACT Anywhere! No other garlic supplements contain ANY allicin. They rely on your body being able to generate allicin once you have swallowed the tablet or capsule. Garlic oil supplements are produced by distilling fresh garlic, the oil that is produced is then diluted and placed into a capsule. This destroys most, if not all of the available allicin. A few garlic powder supplements can generate some allicin but this depends on the prevailing stomach conditions and may take several hours to accomplish conversion to allicin. This can often lead to an unwanted garlic odor while Allimax is completely odorless. New ALLIMAX doesn't need to wait to be converted since it actually is allicin. A completely natural extraction process using fresh garlic, and without the use of solvents, enables us to produce a stable aqueous solution of Allicin. This solution is extremely active and can then be formulated into a series of unique consumer products ranging from soaps to supplements. 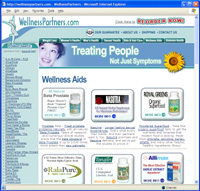 Current formulations are available as health food supplements (ALLIMAX of WEISSEN) , a unique Travel Product containing allicin and ginger, a novel anti-bacterial cream (NOPEXIN) a cosmetic cream and a powder and/or liquid extract for topical application. All these products are designed to take maximum advantage of garlic's natural antibiotic, antifungal and antiviral activity. These extracts can also be supplied from certified organically grown material. • One capsule provides 180mg of allicin powder. • Each capsule contains non GMO starch, gum arabic, silica, allicin, gelatin and titanium dioxide (capsule shell only). • ALLIMAX is free from artificial coloring, artificial flavoring, salt, gluten & preservatives. New Allimax is made in the same way that allicin from fresh garlic is formed, but the patented process ensures that large quantities of stable allicin can be produced. This sophisticated refinement process has for the first time allowed us to capture garlic's active component and deliver it directly to where your body needs it.